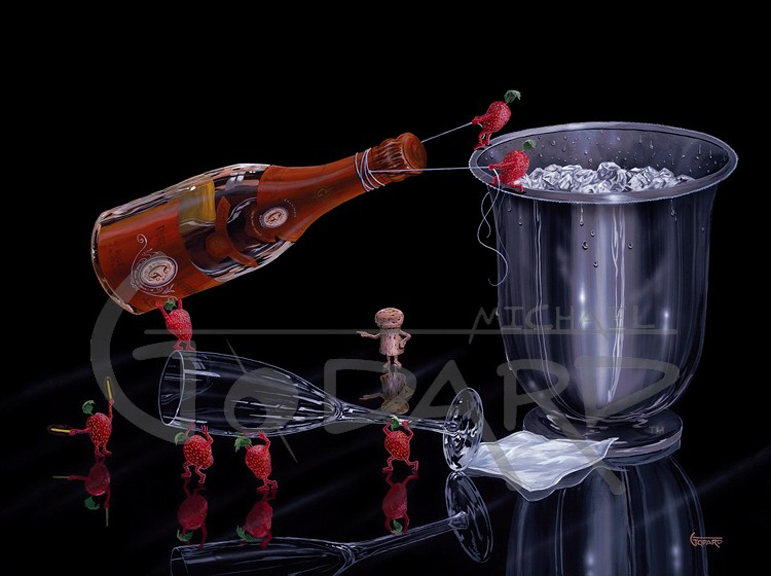 In this painting I used the strawberries to prop the champagne bottle up to guide off the cork. There cork is standing in the middle of the painting bossing all of the strawberries around. In many my picture there is always a conflict between the cork and the grapes or strawberries! This painting has lots of great colors and has lots of action.